"We introduce bestselling Korean fashion to retailers from around the world." Early 2011 we started a retail webshop in Korea as a part-time job. We were selling Korean and European children clothing and shoes within Korea. As a reseller we built strong relationships with South Korea's best suppliers of children fashion. This also gave us first-hand experience of which brands are high quality and bestselling. We truly fell in love with some of them and grew amazed that these brands were still largely unknown outside of Korea. This needed to change! And as a company with its roots in both Korea and Europe, we knew we were up for the challenge. In September 2012 we launched KKAMI.nl and started B2B sales in the Netherlands. Not much later we expended sales to Belgium and added more brands to our portfolio. Positive feedback from our customers and inquiries from retailers in other EU countries confirmed that we were on to something. So early 2014 we quit our daytime jobs and moved our office to Korea. In July 2014 we made this website available in English and prepared to ship worldwide. Now retailers from anywhere in the world can conveniently buy the best Korean children fashion at one online market. Congratulations: you found it! In 2015 we attended the Kleine Fabriek trade show in Amsterdam where we showcased our best brands to many potential customers and the press. In 2016 we launched a pilot to wholesale Korean women fashion. These activities were discontinued after 2 years to allow us to focus more on growing our children fashion business through trade shows. In May 2017 we welcomed our 500th customer. And we continue to grow because a little over 12 months later we were proud to serve our 700th new customer. In the Summer of 2018 we attended the Playtime Paris trade show. There we introduced our top brands at the number one fashion trade show for children and maternity. In January 2019 we added Pitti Bimbo in Florence and again Playtime Paris. And soon after we joined the recently launched Playtime Online platform with LALA to allow more professional buyers to get access to our bestselling brand. In March 2019 we moved all our operations to a larger office in the city of Seongnam-si, South Korea (45 minutes south of Gangnam). This bigger space allows us to hire more staff to support our buyers better and get orders processed more quickly. What will be next? We will continue to add more brands to our wholesale market place so that you will have even more to choose from. Be sure to like us on Facebook so we can keep you updated on new brands, new collections and our next big steps. Our team is one happy family, literrally! This means we naturally work closely together. Our office is located in South Korea. But we frequently visit Europe for family and business. Ludo is responsible for all online and inbound international sales. He uses a personal approach in handling our customer relations. Furthermore, Ludo takes care of exporting and customs fomalities. He knows all the ins and outs of taxation, import duties, and relevant free trade agreements. He also maintains this website. 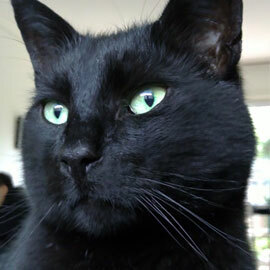 Ludo is Dutch and has lived in the Netherlands, Belgium, and the United States. He currently lives in Seognam-si, Korea. Youngrock is the point of contact for our brands. He has a huge network and pretty much knows all suppliers of children fashion in Korea. 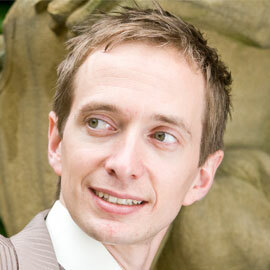 Youngrock is the founder of our company and has a great eye for new business opportunities. Because he is well connected and trend sensitive, Youngrock knows what is hot or not. This is a valuable asset since we are always scouting for new bestsellers. 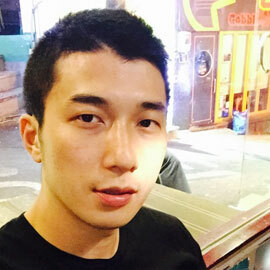 Youngrock is South Korean and currently lives in Seoul, Korea. Jiyoung has an MBA in Marketing and knows best how to put this into practice. She sets out and safeguards our mid- and long-term strategy. It was her initiative to take our business global. 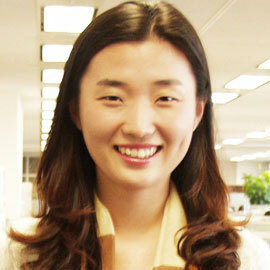 In our team Jiyoung is in charge of KKAMI's attendance of trade shows and exploring new marketing and sales channels. She also updates all our social media feeds. Jiyoung is South Korean and has lived in the United States and the Netherlands. She currently lives in Seongnam-si, Korea. Yes, Kkami was our cat and company mascot. He passed away in 2017, but his spirit lives on through this site's name. His cuteness, elegance, and playfulness are also what we stand for with our products. So therefore we named our website after him. The name Kkami is a common Korean name for black haired pets. This website is an online wholesale market offering Korean children fashion of many brands. The brands are strictly selected by us to assure high quality and bestselling. See an overview of all brands. We sell products for these brands. These brands are generally already bestsellers in South Korea, but are not equipped to make international sales. Through us these brands now reach retailers from around the world. Go to our shop to see our children fashion products. This being a market for wholesale means we only sell to retailers (resellers), not to individuals. Registration on our website is required in order to see the prices. It is free and with no obligations. Read more about how to order.